In April 2015, we announced our 2 × 2 day courses, Essential CFD and Applied CFD, that were developed over 6 months, to enable people to deliver successful CFD solutions with OpenFOAM, based on our experience as the Architects of OpenFOAM and of training 2500 people with OpenFOAM. Following a very positive response to our pilot sessions in June, in Berlin and Houston, we followed up in the autumn with scheduled classroom training courses in London, Chicago and Munich, before returning to London, Houston, Berlin in early 2016. Feedback from participants, during and after the training, shows that our focus on competence in CFD with OpenFOAM is effective. We have enabled training participants to spend less time learning how to use OpenFOAM and more time to learn about CFD, by making OpenFOAM easier to use with: template cases, that provide a convenient way to set up and start a new simulation; packaged tools, particularly for post-processing, that can be plugged into a case as required; separating required user input data from application configuration controls, e.g. for snappyHexMesh; code feature changes to reduce the number of steps required for a given task. Customers have reacted positively to our work on making OpenFOAM easier to use, with many participants citing “use of template cases” as the most important aspect of our OpenFOAM Training. 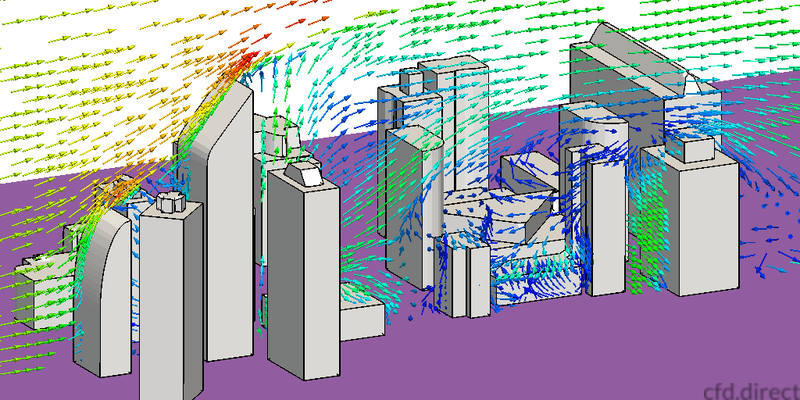 Between the close of 2015 and the new year, we spent 3 months developing a further 2 day course, Programming CFD, to complement our existing courses. We also developed tools to enable us to deliver the course as Live Virtual Training, to make our training accessible to audiences that are unable to travel to our classroom training. The announcement of the programming course was well received, with the Virtual, Europe course in April being so over-subscribed that we were obliged to schedule another Virtual course in May, and a Classroom course in London in July. We now have 3 OpenFOAM Training courses aimed at competency in CFD, delivered as: scheduled classroom courses; live virtual training; and, on-site training that offers companies a customized learning experience to build long-term, in-house CFD capability and processes. We believe we provide the best OpenFOAM training because: we are the primary developers and architects of OpenFOAM, including Henry Weller, the creator of OpenFOAM; we include Chris Greenshields and Jenya Colling, the team that pioneered OpenFOAM Training to a worldwide audience in 2008, with Greenshields delivering over 300 days of training, and being the author of the openfoam.org website and free OpenFOAM documentation; we have managed the release of every version of OpenFOAM and have provided OpenFOAM development and support to leading engineering companies for 15 years; our courses follow a proper curriculum with modules designed to address the challenges of CFD; and, we only promote free, publicly distributed, open source software, so that our training is a one-time investment in staff skills without recurring licence fees.